The escaped dog was in a group of 26 dogs imported from Egypt, in which one got sick and tested positive for rabies. The dog that escaped has not shown any signs of the disease itself. Yes, by all means let’s displace our domestic dog population with pets from a part of the world where the CDC recommends rabies vaccines for anybody who might interact with the local animal population. What could possibly go wrong? One final note: the rescue group says they followed proper protocol in importing the dogs, which if true, is a very strong argument in favor of modernizing our current importation laws, which have not been significantly updated since the 1950s. Situations like this, which threaten our animals and ourselves, shed still more light on why NAIA and the NAIA Trust are working on a federal bill to rein in irresponsible international rescue. 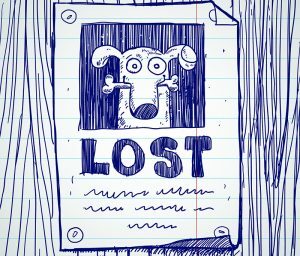 Last seen wearing purple sweater. May have been exposed to rabies. This is not a long read, but to summarize: 12 week-old puppy (yes, 12 weeks!) was imported into North America from Korea by a rescue. The puppy showed signs of illness 12 days after arriving, grew sicker, and had to be euthanized. Tests indicate the imported pup had a new strain of distemper. While we have been most concerned with the importation of canine influenza virus from Asia to North America by improper procedures by various “rescue” groups, the importation of CDV may be more significant in that CDV once it enters an ecosystem cannot be eradicated even with effective vaccines. Once again the North American dog population is being put at risk by those who have no regard for the importation of foreign animal diseases. The threats to public, animal, and economic health that are posed by importing unscreened livestock into the country are generally understood. The fact that we have a reasonably strict screening process for importing livestock is evidence of this. Yet for the last two decades, rescues shipping in dogs from parts of the world that have not even gotten rabies under control has rarely elicited anything stronger than “but at least their hearts were in the right place” in response. Sadly, it seems to take incidents such as the canine flu, rabid puppies, and new (or reintroduced) diseases for the public to take notice, but awareness is spreading. Some little-known important history… and a bright future for 100 rescued dogs! 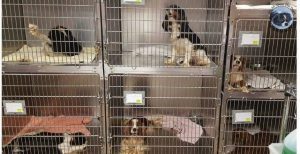 This past weekend the American Cavalier King Charles Spaniel Rescue Trust coordinated a large intake of Cavaliers from a large breeding kennel required to downsize by animal control authorities. This rescue operation was an example of far too many dogs and far too little care, where the dogs needed to be surrendered to people who could heal, foster, and find homes for them. You may notice a distinct lack of sensationalism and heart-tugging buzzwords. And intriguingly, many of the people volunteering in this case don’t hate dog breeders – in fact, many of the rescuers are breeders themselves. Yes, you read that right. Given the way in which so many conversations about dog breeders and rescues are framed, it may come as a surprise that many of the earliest rescue groups were run by or in coordination with breeders and breed groups – but that is the history. Today, while it is not highly publicized, there are still countless breeders and breed groups (every AKC parent breed club) doing that same good work. And there are good reasons for this. Aside from fostering and rehoming dogs, breed groups have the additional benefit of knowing their community, which can help solve problems before they spin out of control. 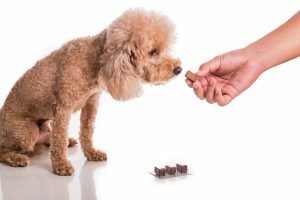 In addition, their experience with the health and behavioral quirks of their favorite breed(s) makes them exceptionally valuable in both fostering as well as finding ideal adoptive homes. This labor of love by the American Cavalier King Charles Spaniel Rescue Trust is a case study of the tight coordination and tireless volunteerism that is vital when your community is suddenly faced with 100+ dogs needing homes. We salute them! Over the weekend PETA and HSUS alumnus Scotlund Haisley, best known to our readers for his work in a dog breeder raid that led to the filing of a $5 million lawsuit against HSUS and inspired a movie, was arrested for holding up a Subway restaurant… twice. This revelation, once you think about Haisley’s history of banging down doors, is hardly a surprise, and the headlines practically write themselves (“From pretend cop to real-life robber,” perhaps?). But it also occurs in the ominous shadow of Haisley’s serious health issues, which forced him to step away from his last position, and he is apparently “of no fixed address”; this is not something we revel in or would wish on anybody, even if the arrest is something that could have been predicted. 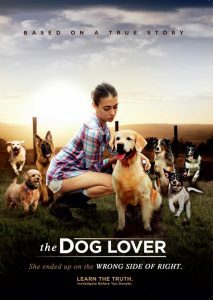 In 2009, a wrongfully obtained warrant and an animal control officer who intentionally misled the court… in 2016, a motion picture. In most regions of the United States, dog overpopulation as an issue has been solved, and there are more potential owners than there are local pet dogs available. For example, many of the dogs that arrive in Northeastern shelters and rescues come from the southern United States, Puerto Rico, and sometimes even foreign countries. Ending the dog surplus problem in some parts of the country is a challenge, due to a lack of clear records. To solve a problem, you have to be able to define it. Who is breeding these dogs? Who is surrendering them? Who is adopting them? And more and more, we’re having to ask where they coming from. One thing we do know, is that fewer dogs are being bred in the United States while the practice of importing dogs from foreign countries for adoption is growing — and fast. So it is little surprise that the partial government shutdown has led to complaints from a group that brings 800+ dogs a year into the U.S., because they can no longer obtain the proper importation permits. This is just one organization of hundreds that are importing dogs in the Southwestern U.S., threatening the health of American dogs and flooding the dog marketplace. This is why NAIA and our legislative partner, NAIA Trust are working so hard to find legislative solutions to this mushrooming problem. The United States is not the only country facing the burgeoning problems associated with unregulated international dog rehoming. Canada’s importation system has been described as little more than self-reporting, and has brought diseases that affect humans, pets, and wildlife into the country. Norway has gotten ahead of the issue and banned street dogs from entering the country. Now, the British Veterinary Association (BVA) is making its position on the issue clear, using the term “Trojan dogs” — apt and definitely not a phrase you’ll soon forget. A ‘Trojan dog’ is a stray dog with an unknown health history that has been brought into the UK for rehoming. These dogs are of particular concern as they are very likely to be carrying infections which are common abroad, including in continental Europe as well as farther afield, but which we are free of in the UK. These infections may cause serious and fatal diseases in dogs which may affect not only the imported dog but could be transmitted to other untravelled dogs. In this way the owner of such a dog could unintentionally introduce a new and dangerous infectious disease into the UK to which our native dogs have no immunity. Moreover, some of these infections can infect humans. The BVA, to its credit, recognizes both the kindness that inspires people to adopt dogs from abroad, while speaking in plain, no-holds language of the threats posed by this type of irresponsible rehoming. The growing understanding of the dangers surrounding irresponsible pet importation make it a serious issue anywhere new (or previously conquered) infectious diseases can be introduced. 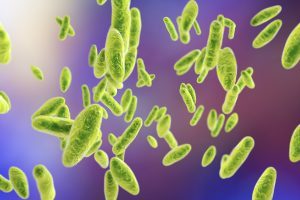 Diseases like brucellosis can be difficult to diagnose and are very contagious. 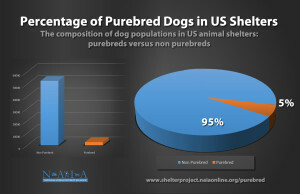 HSUS and other fundraising groups have repeated the mantra that “25% of dogs in shelters are purebreds” for so long, it has become a commonly accepted truth. Because the statement never matched up with the experiences of our board members, volunteers, and supporters who work in shelters, we felt the need to investigate the issue. This led to our 2015 survey, which found that the number of purebred dogs in shelters is closer to 5% (5.04%). We found that over 100 breed signatures were identified at each shelter in our genetic breed testing with over 91 breeds shared between sites. Breed ancestries ranged from having one to five unique breed signatures identified (7%). 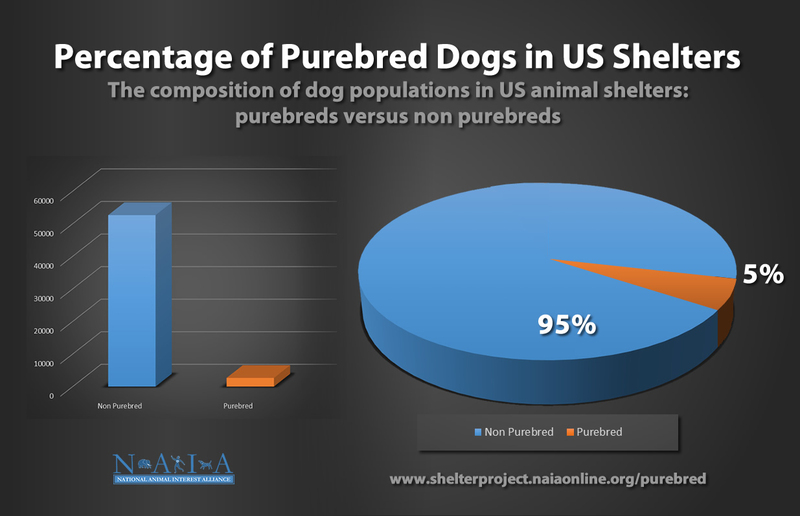 On average, purebreds represented less than 5% of dogs tested with individuals most often having three breed signatures identified within their genetic heritage. In order of prevalence at AAWL and SDHS, American Staffordshire Terrier, Chihuahua, and Poodle were the most common breeds identified. This is a thorough and well-written study in its own right, but what is so fascinating and valuable about this to us is that two different groups, using different methodologies came to nearly identical conclusions. Finding solutions to the issues facing pets and animal lovers becomes much easier when we know the truth of what we are dealing with. Dispelling myths surrounding the issues facing animals and the people who care for them makes finding positive solutions much easier! The law-enforcement credentials of the Oregon Humane Society (OHS) have been suspended pending an investigation into mishandled evidence and improper investigative techniques. …that in the two years she worked for OHS, she saw a failure to maintain a chain of custody on evidence, improper storage of evidence, disregard for officer safety, and violation of Fourth Amendment rights, among other concerns detailed in a 44-page document. An especially disturbing accusation in Neitch’s report is that OHS chose to ignore some animal welfare complaints, yet instructed her to seize evidence without a warrant in another. This, in particular, highlights the dangers of giving law-enforcement powers to private organizations. In the United States, humane societies were originally given police powers in the 19th-century, in large part because animal welfare issues weren’t a high priority with the public at the time. Because of this, there were few animal welfare laws, and few animal control agencies to enforce them. Granting humane societies police powers allowed politicians to focus their attention on issues of greater importance to their constituents. 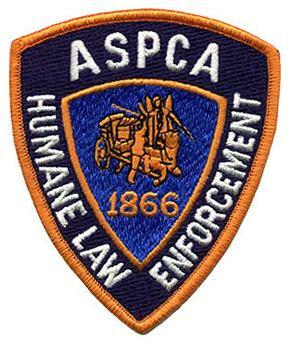 ASPCA Law Enforcement badge. 1866-2013. Of course, we’re not living in 1879 anymore. Attitudes and priorities have shifted radically; today, nearly every large city in the United States has a duly-appointed government animal control agency with police powers to handle cases of animal neglect and abuse. In the simplest terms, this assures that animal control is accountable to the public it serves, rather than to a private nonprofit’s mission statement and board of directors. So long as there are local adoptable homeless pets, NAIA wholeheartedly supports the sheltering and adopting of animals by humane societies. But we consider the suspension of OHS’s law enforcement powers appropriate and overdue. NAIA has long supported the transfer of police powers to government agencies and away from all private nonprofit groups, believing that such groups have inherent conflicts of interest, which are amplified by mission zeal and lack of direct accountability. 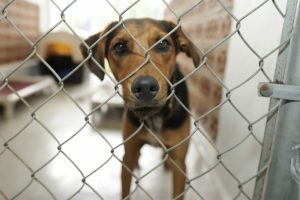 More troubling news from the wild world of rescue import has been picked up by the Worms & Germs blog: a rescue dog with a known history of chronic health issues is imported into a private U.S. shelter from Thailand and tests positive for Melioidosis, a nasty zoonotic bacterial disease. 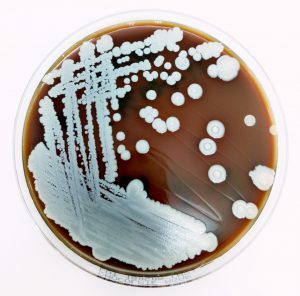 This discovery leads to several potentially exposed people receiving blood tests (one showed signs of exposure, but none got sick), and ultimately the euthanasia of the dog. Logical importation practices are needed. How much time and expense went into shipping a paralysed dog transcontinentally from one shelter to another, when it was ultimately euthanized in the end anyway? I realize everything is done with good intentions, but thank about what could have been done for local homeless animals with the time, effort and expenses that were incurred here. Dr. Weese generously labels the shelters and importers as well intentioned. But honestly, there must be a point where, when operations are carried out with such casual disregard for the health of shipped and local dogs (and adopters), where intentions can not be labeled as “good” — or at the end result is so damaging as to make intentions irrelevant. Rescue importation, fueled by a lack of adoptable local dogs in many parts of the U.S. and the power of social media, has grown by leaps and bounds over the last two decades while U.S. dog import laws have not been updated since 1956. As a result, we are seeing dogs arrive here with everything from canine brucellosis, rabies, and the canine flu, to parasites and other vector-borne diseases. 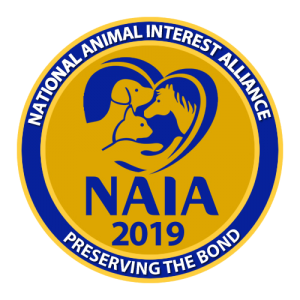 These are very serious issues, which is why NAIA has been working to modernize dog import laws for the last several years. For more information, contact Patti Strand, NAIA President, at naia@naiaonline.org.